Income thresholds the state uses to determine whether Social Security benefits are exempt from taxation would be indexed for inflation under a bill advanced by the Legislature March 27. Under current law, federal adjusted gross income for state tax purposes is reduced by the amount received as Social Security benefits if AGI is $58,000 or less for those married filing jointly or $43,000 or less if filing as an individual. 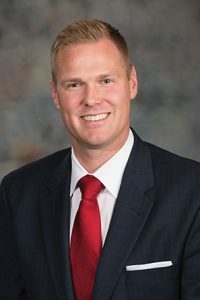 LB738, introduced by Omaha Sen. Brett Lindstrom, would index those exemption thresholds for inflation in the same way the state’s income tax brackets are indexed. He said this would ensure that inflation does not erode the buying power of a retiree’s Social Security benefits. Lindstrom said Nebraska is one of 13 states that taxes social security income and that Iowa and Missouri have repealed their state tax on those benefits. The state Department of Revenue estimates that the bill would decrease state revenue by $1.3 million in fiscal year 2019-20. That would increase to $3.9 million by FY2021-22. A committee amendment, adopted 37-0, would extend the bill’s effective date from tax year 2019 to tax year 2020. 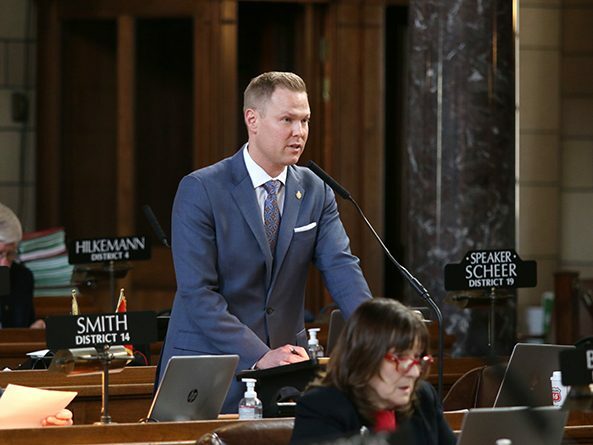 Sen. Paul Schumacher of Columbus supported the bill, but he cautioned senators about its potential impact on the state budget when it is fully implemented. “Always beware and analyze the delayed implementation of anything, because almost always it is to make you feel good that you’ve done something now and make the guys and gals down the road have to worry about how to pay for it,” he said. Senators advanced the bill to select file on a 36-0 vote.